A woman arrested for the second time in connection with the death of a man found in a river has been released under investigation. 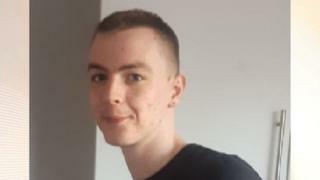 The body of Joe Pooley, 22, was recovered from the River Gipping in Ipswich on 13 August. The 28-year-old woman from Ipswich was re-arrested on suspicion of murder on Tuesday and questioned by detectives. She was later released under investigation while police enquires continue. Police first arrested her on suspicion of murder on 2 October and subsequently released her under investigation. A post-mortem examination found Mr Pooley, who was from the town and had learning difficulties, had drowned. Four other people have been arrested and released. A 29-year-old man from Ipswich, who has been arrested on suspicion of murder on three occasions, is on police bail until 4 March.